The animosity between Governors Samuel Ortom and Simon Lalong of Benue and Plateau states respectively have taken a step higher after the Benue governor told his Plateau counterpart to mind his own business. 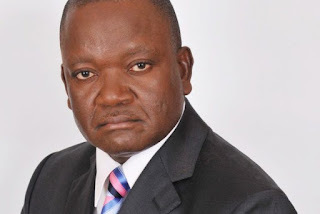 According to The Punch, Ortom directed his comment to his counterpart through the representative of Lalong at the stakeholders’ meeting with the National Economic Council Technical Committee on Herdsmen/ Farmers’ Crises Resolution. Recall that Ortom and Lalong in January had a public exchange of words after the Plateau governor said he warned his Benue counterpart against implementing an anti-open grazing law. Ortom had in turn queried Lalong’s right to teach him how to run his state since he was not his employee. Lalong later apologised after widespread condemnation of his “warning” comment. However, Ortom on Monday said his deputy, Benson Abuonu, informed him that Lalong told him that he had only apologised for the comment due to intense pressure, not out of conviction. Ortom said, “My deputy told me that he had a discussion with Lalong recently at a function, where he (Lalong ) said that he had to apologise to me over his statement because of pressure on him, saying, he stands by his earlier statement. “He also told the people that he introduced this woman (pointing at the woman on the high table) in this committee to me, whereas, this woman was introduced to me by Nasir el-Rufai, not him. “Thank God he has a representative here; please tell him to stop interfering with the affairs of my state; let him mind his business in Plateau and I will mind my own business here. The stakeholders were led to Benue state by Ebonyi State Governor, Dave Umahi. The meeting which held on Sunday night and dragged into early Monday held at the state government banquet hall, Makurdi.